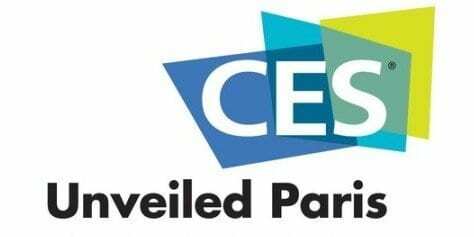 More than 1,000 attendees from 34 countries gathered at CES Unveiled Paris to see the latest innovation from France and the surrounding region. CES Unveiled Paris expanded into a full-day event that included the inaugural Executive Forum on Innovation. This executive program, in collaboration with the Connecting Leaders Club, featured 25 leaders in the industry who shared their insights on emerging technologies and trends, public and private partnerships, mobility and artificial intelligence (AI). For 2018, CES Unveiled Paris will co-locate with the Paris Motor Show, in the Mondial Tech Hall to share global exposure. The event will bring together an estimated 100 Tech companies, including startups and global brands, from throughout France and the surrounding region to showcase their latest transformative technologies. The CES Unveiled Paris Executive Forum on Innovation. CES Unveiled Paris brings together 1,000 business leaders, start-ups and press from all France and Europe. A global exposure with more than 10 000 journalists registered for the Paris Motor Show. An executive program for public sector. Hear from leaders in business and government about the technologies that are challenging the status quo and creating entirely new areas of business. Meet all technology influencers, media, C-level executives, buyers and members of the financial community. Build your global business network, develop lasting partnerships and connect with hundreds of tech influencers. Join us at CES Unveiled Paris and catch a glimpse of the innovation to be seen at CES 2019.